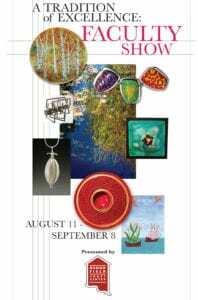 The Brookfield Craft Center is proud to present the annual faculty exhibit as a showcase of the amazing work of our talented instructors. Each piece represents technique and creativity honed by many hours of work and practice in the artisan’s specific field of fine craft. 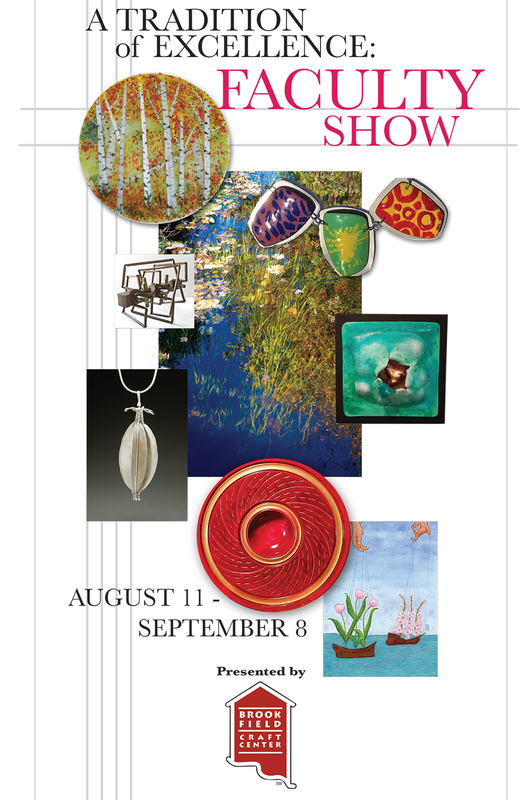 Viewers of the show will have the opportunity to connect with both form and function as they peruse the show filled with innovative items crafted in wood, metal, jewelry, glass, ceramics and fiber and more. From our founding to the present, Brookfield Craft Center has been fortunate to engage highly professional artists and fine craft workers as faculty members. They demonstrate skill, creativity and a passion for passing the torch to the next generation of artists. We are proud to present work from all seven of our teaching studios in what is truly a “Tradition of Excellence”.